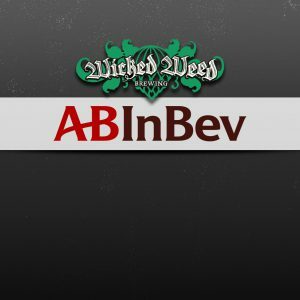 The fallout from Wicked Weed’s sale to Anheuser-Busch InBev is still being felt days after the transaction was announced. In the wake of the deal — which will require approval from the U.S. Department of Justice — at least 44 breweries announced they would no longer participate in Wicked Weed’s annual Funkatorium Invitational in Asheville on July 8, according to Tenemu. Among the more recognizable names pulling out, according to the beer blog: Allagash Brewing Co., Avery Brewing Co., Crooked Stave, Grimm Artisanal Ales, Night Shift, Troegs, Trillium and Springdale by Jack’s Abby, which has begun making plans to host a similar event for Funkatorium dropouts that same weekend. Wicked Weed has promised that the Funkatorium Invitational — an annual showcase of wild and sour ales from across the country — will go on, and a new brewery list is expected to be released at a later date. Tickets go on sale May 20, and 100 percent of the profits will benefit Eblen Charities, which helps Asheville’s underprivileged citizens with access to health care, energy assistance, emergency assistance and housing. Jester King has also backed out of present and future collaborative brewing projects with Wicked Weed, and has vowed not to pour any of the North Carolina brewery’s beers at its tasting room. Similarly, The Rare Barrel and Black Project Spontaneous & Wild Ales have also distanced themselves from Wicked Weed. “In order to stay true to our values, we’re pulling out of the second part of our collaboration, will not be attending their festivals, and will not be able to serve their beer in our Tasting Room anymore,” The Rare Barrel posted on its Facebook page. In a blog post, Black Project owners James and Sarah Howat wrote that while their friendship with Wicked Weed’s owners would remain intact, they would cease their business relationship due to the company’s new affiliation with ABI. Breweries aren’t the only ones severing ties with A-B’s latest acquisition target, however. Several Denver craft beer bars and restaurants have said they will no longer serve products from Wicked Weed or other ABI-owned breweries in the company’s “High End” portfolio. According to Westword, the list of boycotting bars and restaurants in Denver include Hops & Pie, Falling Rock Tap House, Euclid Hall, the Crafty Fox, Walter’s 303 Pizzeria and Publik House, and First Draft Taproom. Meanwhile, Brawley’s Beverage owner Michael Brawley told the Associated Press that his Charlotte, North Carolina-based stores and restaurants would stop selling Wicked Weed products. 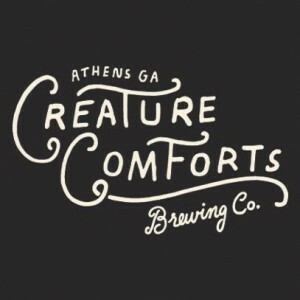 Elsewhere, Creature Comforts co-founder and CEO Chris Herron offered his perspective on the Wicked Weed sale in a guest post that is reportedly “on its way” to becoming the most read story on Good Beer Hunting. “While everyone thinks that AB InBev is truly interested in getting into craft and building these brands (which is a secondary goal at best), I submit that maybe buying craft breweries is more of a tool to devalue the craft category and increase the brand equity of their core legacy beers,” he wrote. “These craft brands, whether they realize it or not, may just be pawns in the AB InBev game of chess. AB InBev is not a collaborator, they are a competitor, and a damn smart one,” he added. Herron views A-B’s acquisitions as a “sleight of hand,” intended to add add “downward pricing pressure” within the craft segment. In doing so, A-B is forcing the hands of regional craft breweries to follow suit, and closing the gap between ABI’s premium legacy brands and craft in the process, he argued. “Over time, minimizing this price gap increases the brand equity of their legacy premium brands (Bud and Bud Light), since these brands no longer appear to be at a significant discount,” he wrote. In an interview with Business Insider, Wicked Weed co-founders Walt and Luke Dickinson defended their decision to sell to global brewing conglomerate. Despite the swift backlash, Walt Dickinson told Men’s Journal that Wicked Weed hasn’t lost an employee yet, and he’s pretty confident that the company would retain most of its workforce. Dickinson also discussed how the company hopes to win back any lost fans. “This is a move not to take Asheville out of Wicked Weed, but it’s to make Wicked Weed more a part of Asheville — to be able to have more resources, to create more jobs, and have a bigger impact on the community that we love. So I think in the end this is going to be a great thing for our city,” he told Men’s Journal. 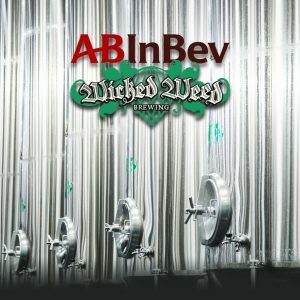 However, one former Wicked Weed employee, Jed S. Holmes, has penned an open letter to the brewery’s founders on the website wickedweedsoldout.com. Finally, Draft Magazine, in an effort to peek under the hood of an AB-owned craft brewery, convinced an anonymous “high-level staff member” to discuss their experience working for the global brewing giant. As expected, there is more pressure to sell and to grow and to innovate. But what happens to the culture post-acquisition? “They really go above and beyond anything I’ve ever seen to ensure people stay. They want people to be happy,” the anonymous AB-owned craft brewery employee wrote.